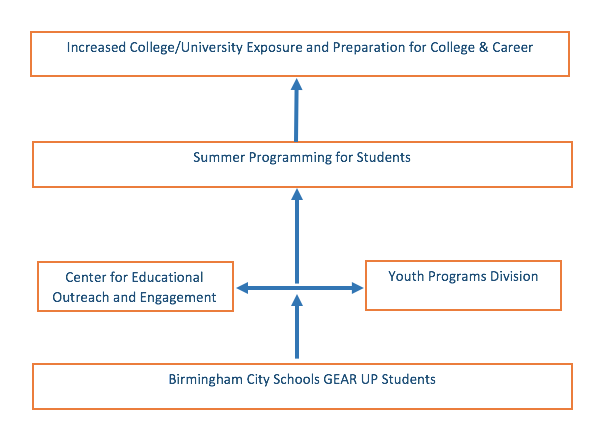 Auburn University's Center for Educational Outreach and Engagement (CEOE) facilitates the summer programming arm of GEAR UP Birmingham City Schools. In efforts to increase college/university exposure for GEAR UP students, Auburn partners with Birmingham City Schools to provide students with opportunities to participate in curriculum and activities designed to pique students’ subject interests in preparation for college and career. You may access the GEAR UP Birmingham City Schools camp websites by clicking the icons below.